Send text & audio thank you messages to us at: swunderworld@gmail.com. Send audio messages to our voicemail line at 410-989-1138. Text messages must be within 50 & 150 words and audio messages must be under 3 minutes. Only one message per person. All messages must be submitted prior to 12:00pm EST on April 23rd. Please provide your name in both text and audio messages so we can credit you. The Star Wars Underworld reserves right to disqualify any message if they see fit. The audio you submit will be featured on a special #ThankTheCloneWars episode of the SWU Podcast on April 17th! The text messages will be featured in an article here on StarWarsUnderworld.com around that same time. 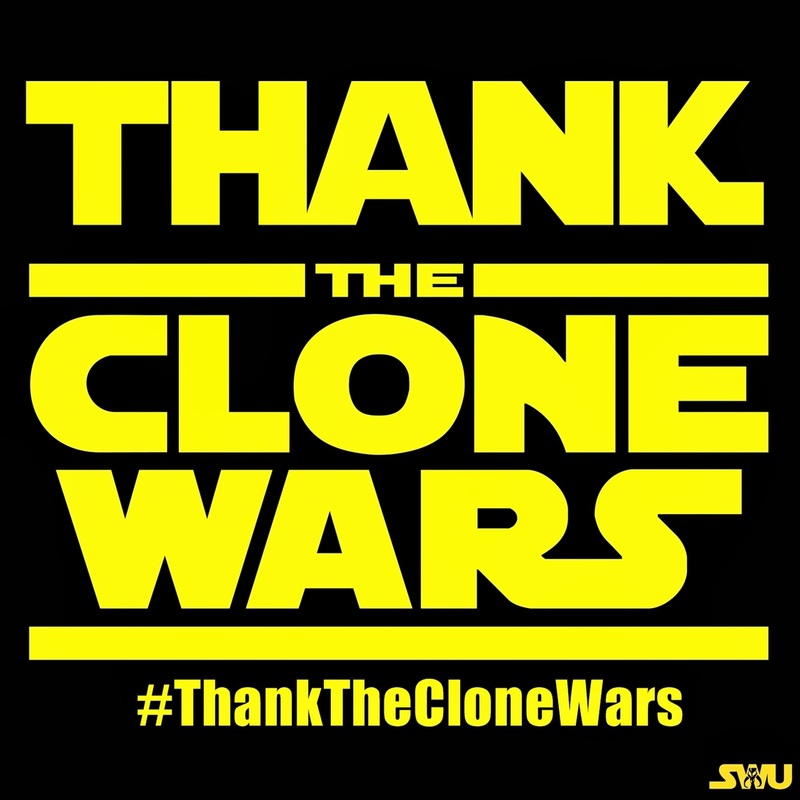 Also, feel free to share thoughts and thank you's publicly using the hashtag #ThankTheCloneWars! Let's get it trending! Update: Go 'Like' the new Facebook page!